Folded by Executive of F.O.L.D. 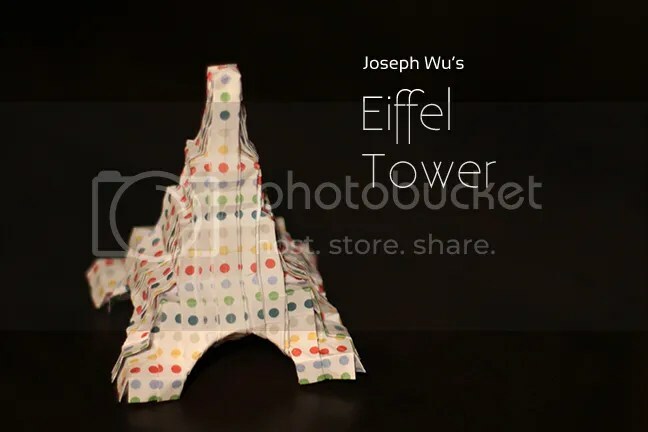 Joseph Wu is an online origamist who is easily described as versatile. Starting like many others, Joseph studied the design of other famous designers such as Kamiya Satoshi. Gradually, he became a designer in his own right and has several popular origami instructions available for free. Eiffel tower is simple and clean in its finish. A worthy exercise for the precision of paper folding. Previous Post First FOLD General Meeting!